Gera Woltjer is a multi-award winning and multidisciplinary artist, originally from the Netherlands who is currently based in Perth. 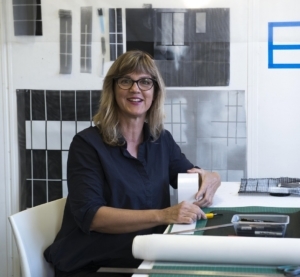 Her process- based artistic practice could be described as being on the edge of art and design. Her current work is informed by a desire to recreate organic movements in nature (such as in liquids) and to represent these phenomena materially. Gera holds a master in Fine Arts and Education and has a long experience in teaching and lecturing in art and the history of art.